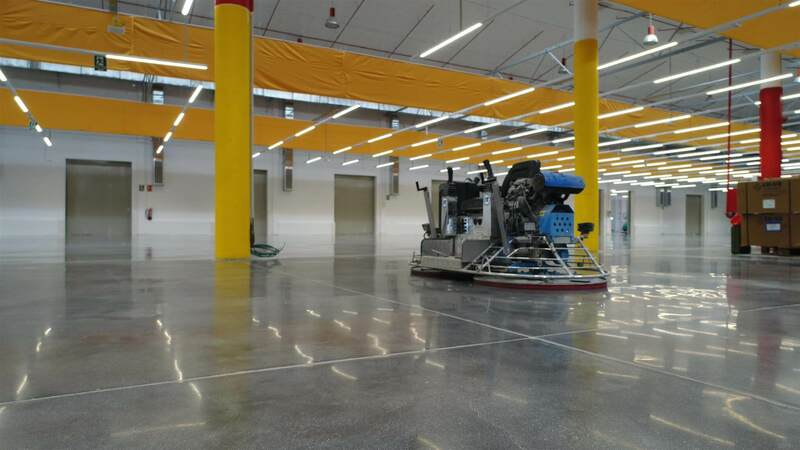 Epoxy floors require regular reapplications because of peeling and blistering. Untreated concrete floors crumble and pulverize with wear. Once a concrete floor has benefited from a BECOSAN® treatment the floor will go on and on without further treatment. As yet we do not know exactly how long a BECOSAN® floor will last. We have yet to see one deteriorate! 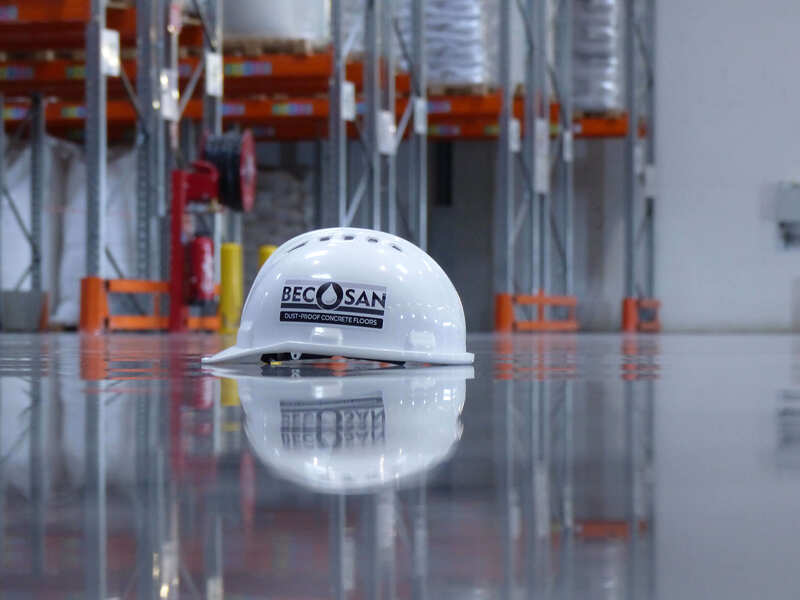 A BECOSAN® floor reflects light meaning that lighting levels can be reduced and, hence, energy consumption will be lower and CO2 emissions in buildings are reduced. A BECOSAN® floor requires little maintenance. The increased hardness and durability mean it is less prone to becoming damaged or cracked. This means that your business processes do not need to be interrupted to conduct repairs to the floor and cleaning is rapid and at a lower cost. 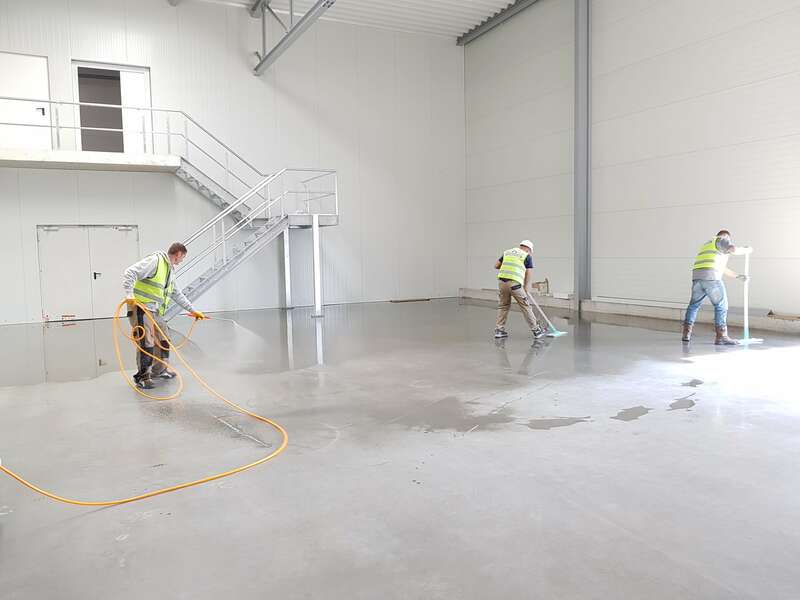 Before treatment a BECOSAN® floor is polished to a desired shine and, once treated, the floor can even be used in an office area or a car park. A floor which absorbs liquid is unsightly and difficult to clean. A BECOSAN® floor is more resistant to absorption, giving you a period of time to clean up any spillages.